This travel guide is for anyone considering a trip to the beautiful country of Sri Lanka in search of a special memory to treasure forever. Written by Kim Rix, a gemmologist (GIA) and professional photographer who has travelled to more than 50 countries, this unique book unveils how you can become a Gemstone Detective' on your next adventure. 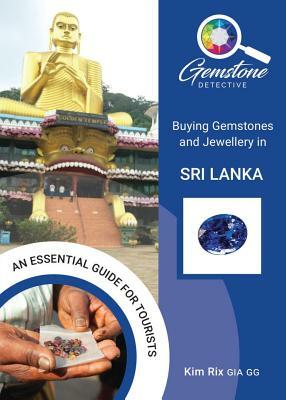 If you are considering purchasing a gemstone or piece of jewellery, this book is essential reading on the plane over to Sri Lanka It is a mine of expert advice, insider information and practical tips to help you better understand the gemstone and jewellery market. As well as offering country-specific background and up-to-the-minute advice, the Gemstone Detective' series, is a how to' guide for anyone who wants to experience the fun, excitement and romance of buying unique and beautiful gems or jewellery in countries around the world renowned for their natural gemstones. Kim Rix is dedicated to visiting each country in the Gemstone Detective' series to provide readers with the best advice and easy-to-follow steps to help travellers avoid the pitfalls, scams and disappointments of a bad buying decision.